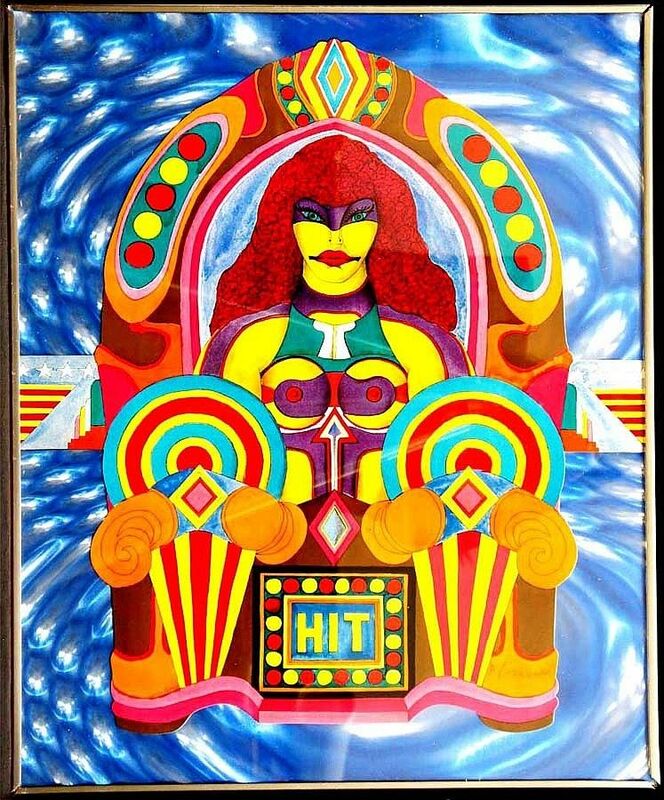 This is a collage on heavy paper of lithograph elements, by Richard Lindner (German/American - 1901-1978). 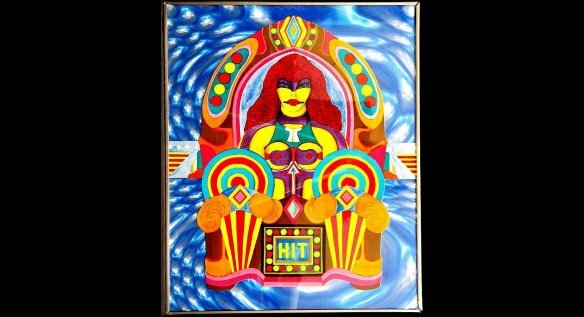 "Hit" from the "Fun City", mounted on a Blue Rolux board, 1971 signed and numbered in pencil by the artist. It is numbered LXIII from the set of 75 in Roman Numbers for distribution outside the U.S. (total recorded edition 291), as published by Shorewood Publishers, Inc., New York. Condition Report: In fine condition, the colours very fresh, never framed. The Rowlux in the original edge held carrier protected by Plexiglas and therefore is without any scratches. Paper with very slight toning from age. Dimensions: Size info: sheet: 25 by 19 1/2 in. (63 1/2 x 49.5 cm.) sold unframed. Please note that it is not the more common Lithograph, but a rare Collage. Painter Richard Lindner's highly idiosyncratic work incorporates elements of his personal history, as well as literary associations. The element of introspection separates his work from pop art. Liudner worked as an illustrator for Vogue, Fortune and Harper's Bazaar. He began painting seriously in 1952, holding his first one-man exhibit in 1954. His style blends a mechanistic cubism with personal images and haunting symbolism. His favorite subject was bizarre women. Corsets and straps emphasize their sexual qualities. Lindner professed no hatred of women; instead, he said, "I feel sorry for women. When I dress women in these corsets and contraptions in my painting, it's kind of the way I see them wrapping themselves up." Lindner's characters-the women, precocious children and men who could be strangers or voyeurs--often are posed in slice-of-life scenes. But these scenes are obsessive, rather than normal visions. Lindner taught at the Pratt Institute from 1952 to 1965. He died in 1978.